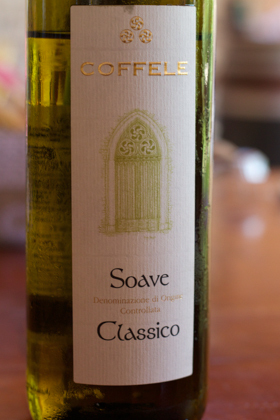 We made a visit to Soave in Veneto on a friend’s recommendation to visit the winery of Coffele. 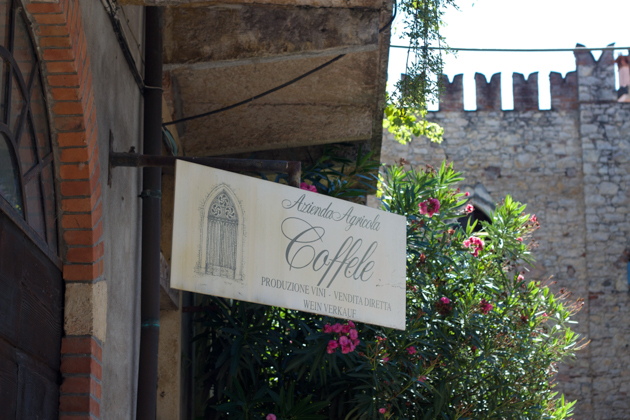 Coffele has two cellars, first the mid-nineteenth century Castelcerino vineyard in the Classico zone of Soave, 7 kilometres south of the village of Soave, and considered to be one of the finest in Soave. 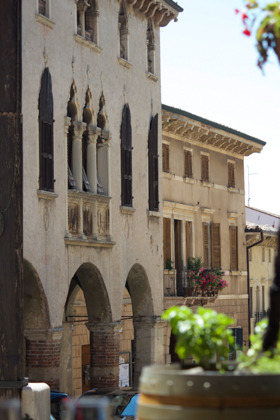 The other is in the 16th century Palace Visco-Coffele located in the centre of the charming medieval castle town of Soave. 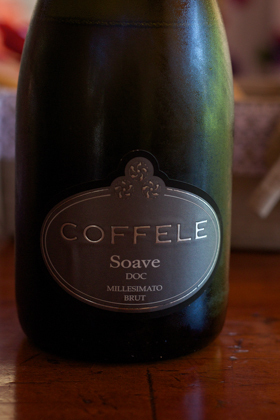 My husband was initially not excited by the idea because Soave has a reputation as a cheap industrially produced lackluster white wine in Italy. In the ocean of Soave produced from 4,000 hectares by 180 producers, Cantina di Soave is one the biggest producers of Soave with 2,880 hectares. 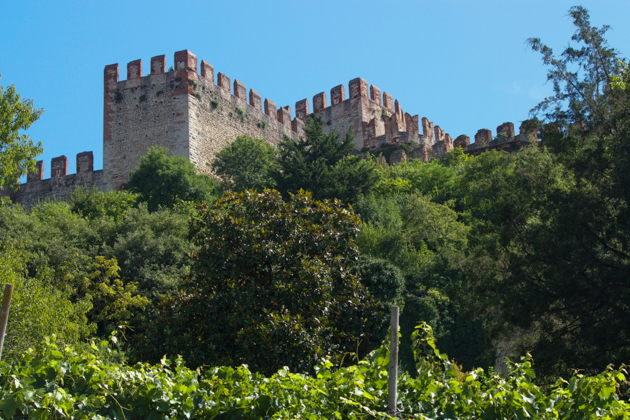 Due to its size it has a huge impact on the identity of Soave in the market. Even in the 1,100 hectare Classico zone of Soave where some superior wine is produced, it is difficult for a small winery to differentiate itself. Despite the challenge of carrying an inferior branded wine on its label, Coffele is dedicated to creating quality organic wines (although they do not yet have the organic certification). Perhaps they have been inspired by other successful high quality Soave producers such as Pieropan, Inama, Ca’ Rugate, Gini and Pra’ which have managed to market their wines to cognoscenti based on their own brand. 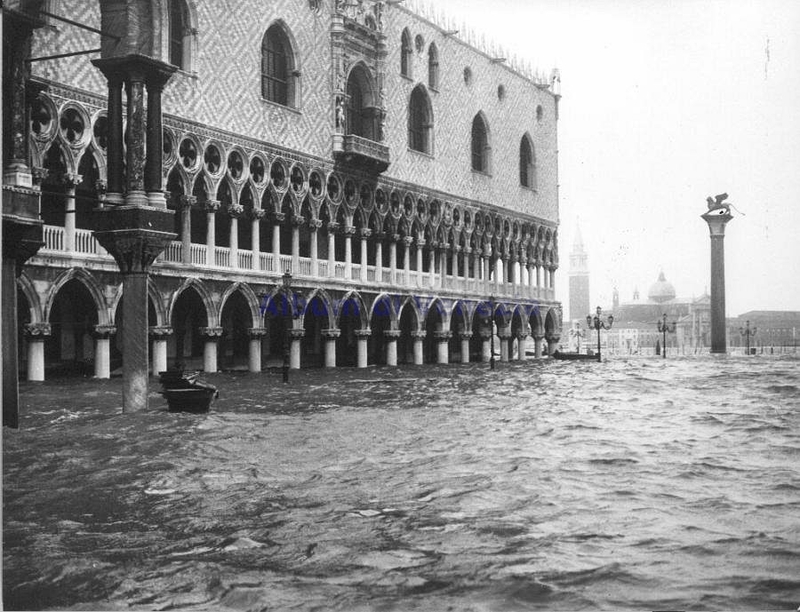 Overlooking these gems because of Soave’s poor brand would be a shame. High quality Soave has flavours of white flowers, chamomile and mineralilty with a bitter almond finish, characteristic of the Garganega grape. The Coffele winery, founded by the Visco family, has been producing wine since 1873 (except for a hiatus during the Second World War). 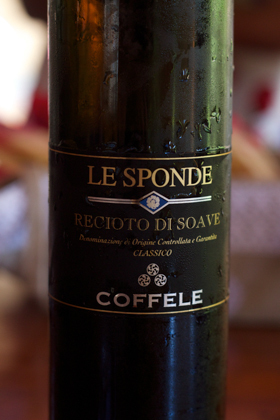 When Giovanna Visco married Giuseppe Coffele, the winery changed names from Visco to Coffele. 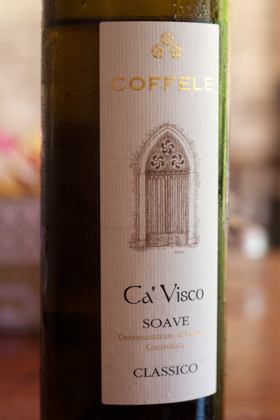 Coffele‘s Soave cuvée is named Ca’ del Visco to reflect the winery’s heritage. Today their children, Alberto and Chiara run the winery. Alberto studied winemaking in Trentino-Alto Adige and is the winemaker. Chiara is in charge of the marketing. The winery produces 130,000 bottles annually of still white wine, sparkling wine, red wine and sweet wine. 80,000 bottles of this are Chardonnay and the three types of Soave Classico. Most of these bottles are exported. Ironically their wine is more appreciated in Scandinavia, the United States and Japan than in Italy itself. This is due to the issues with the Soave brand. They have also added new markets like Thailand and China. 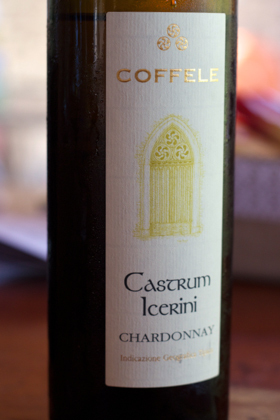 Coffele grows primarily Garganega and Trebbiano di Soave grapes on the Soave Classico vineyard as well a smaller amounts of Chardonnay, Sauvignon Blanc, Merlot and Cabernet Sauvignon. The grapes are all hand harvested. Coffele uses the grape skins and stems from producing the wine to make compost to fertilise the vines. The worms in the compost create pathways removing any need for aeration. The winery does not use machinery to harvest the wine or plow the land, instead using its eleven horses it breeds. 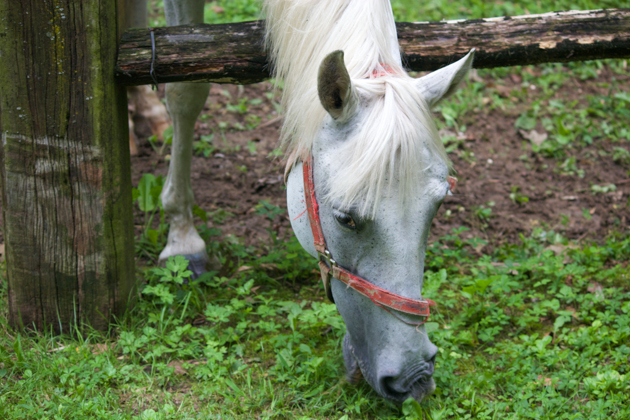 The horses not only do not compact the soil as a heavy tractor would but also provide some soil movement. The horses are fed organic waste products from the vineyard and their manure is in turn used to fertilise the vines. 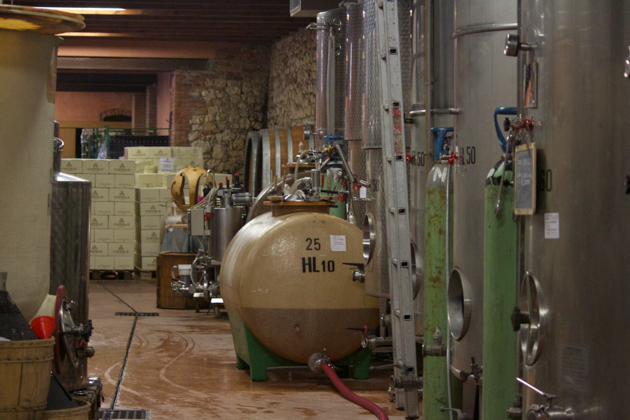 All their white wine is fermented in steel tanks at their cellar in the town of Soave. 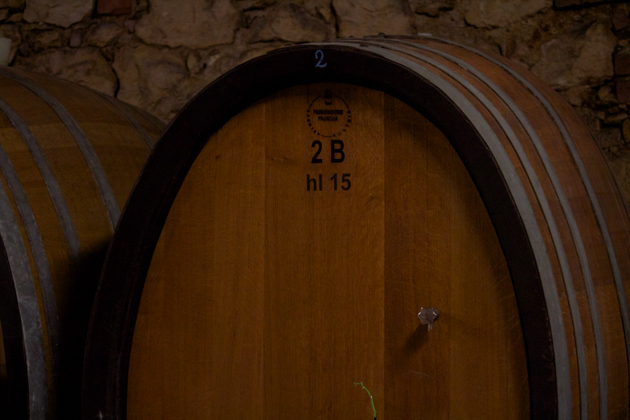 Only the Chardonnay and the Alzari (their oaked Soave) are aged in 9 and 11 year old large Austrian wooden barrels housed in both cellars for 6 (Chardonnay) to 12-14months (Alzari). We visited the day they were bottling the wine. 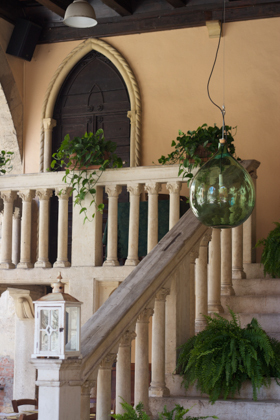 Their sweet wines are created in the vineyard using a traditional Veronese system. 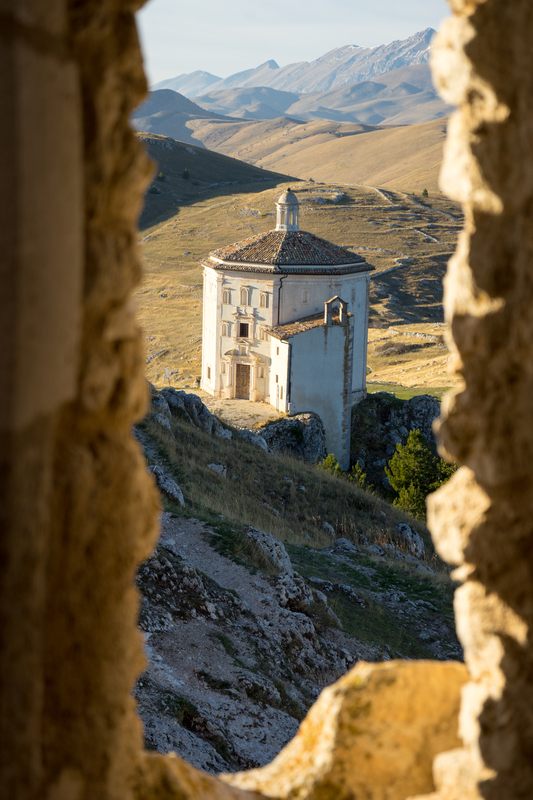 The Sala sulle Sponde (meaning room on the ridge) was constructed on a ridge where there is no fog and good air circulation. It is where they hang the Garganega grapes on nets to dry from September to March every year that go into their recioto and passito sweet wines. 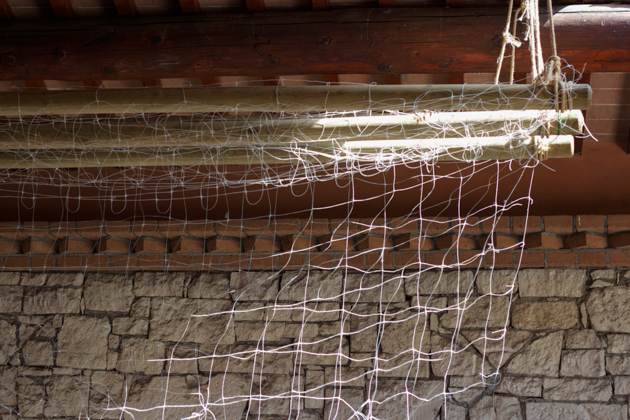 The grapes are hung on nets from the ceiling. A computer opens the windows to let in the wind and closes them when it rains to control the humidity and airflow. 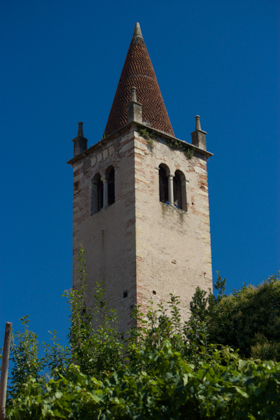 Coffele also owns 5 hectares of land in Campiano in Valpolicella from which they make a Valpolicella and an Amarone. We had our tasting in the palace garden with a view of the castle. It was a spectacular setting to try their Soave Classico, Ca’ Visco, Chardonnay, Amarone and Recioto. 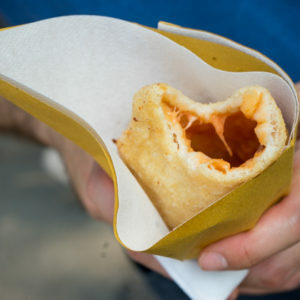 Our favourites were the Ca’ Visco and the Recioto. Reserve in advance to do a cellar tour. If you want to a nice place for a meal while you are there, try Enoteca al Drago or Trattoria dal Moro. The Coffele vineyard also has accommodation. 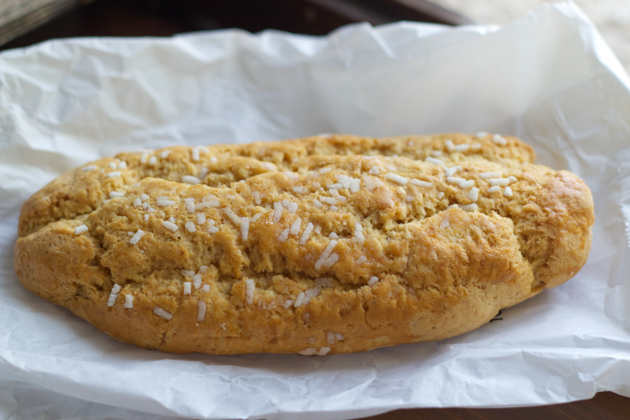 For coffee and pastries try Zambaldo Bruno Panificio Pasticceria Caffetteria on Corso Vittorio Emanuele, 45. Note: Gambero Rosso ratings are out of 3. This is their entry-level wine. We tasted the 2013 vintage when we visited. This is an unoaked Soave made of 100% Garganega grapes. The wine has good acidity, some minerality and flavours of chamomile and bitter almond. They produce 65,000 bottles annually. Timing: Coffele suggests their wine be enjoyed at least 2 years after the vintage and within 5-6 years. 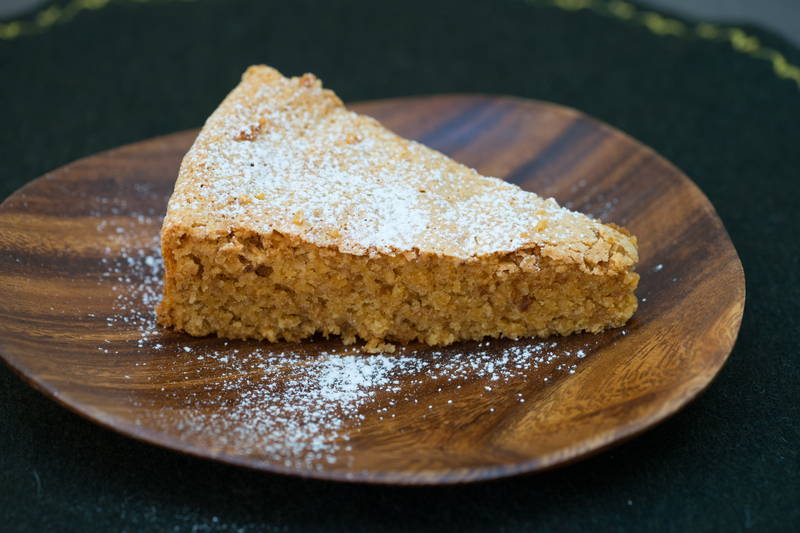 Pairing: It can be served with risotto, asparagus and peas. This is their blended Soave made with 75% Garganega and 25% Trebbiano di Soave (out of up to 30% allowed by law) grapes. The juice is fermented separately in steel tanks. It is then blended and aged in bottle for a month. They produce 30-40,000 bottles in a year. We tasted the 2013 during our tour and it was our favourite. Pairing: Seafood, raw fish, scampi, fatty fish such as salmon and white meat. This is their oaked Soave made of 100% Garganega grapes. 40% of the grapes are dried for 40 days while the rest are fermented in steel tanks. The wine is aged in large French oak barrels for 12 months and then in bottle for 2 months. 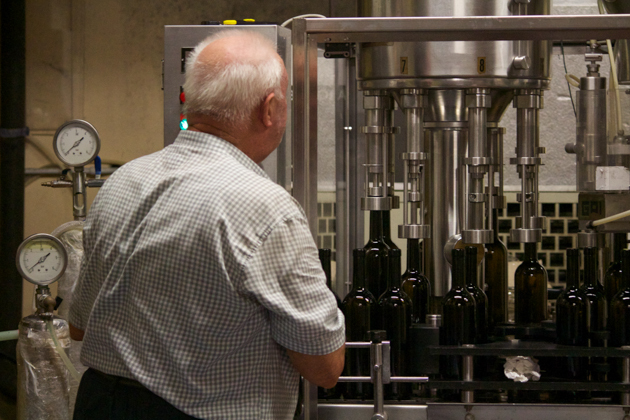 There are 2,000 bottles produced annually. Pairing: They suggest this wine be enjoyed with soups, medium mature cheese and game birds flavoured with chilies or spices. This is their 100% Chardonnay which spends 10 days to 2 weeks on the skins, 6 months in wood barrels and 18 months in the bottle. Timing: Coffele suggests their wine be enjoyed at least 2 years after the vintage and within 8 years. Pairing: Cream and cheese based dishes. This is a red blend of 75% Merlot and 25% Cabernet Franc and Cabernet Sauvignon. 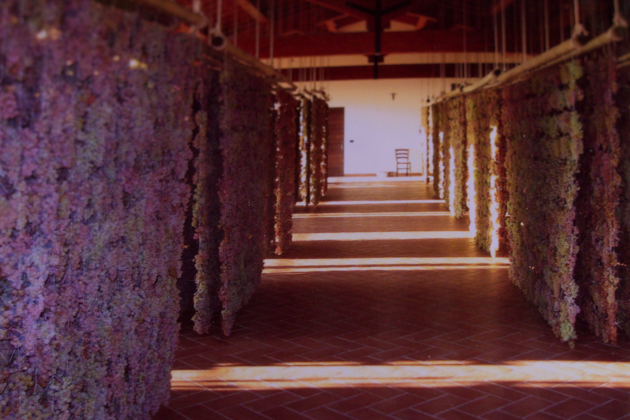 The grapes are pressed and the must fermented for 12 days and then left on the skin to macerate for 14 days. The wine is then aged in 225L oak barrels for 24 months. This wine is made from Corvina, Rondinella and Molinara grapes, which are crushed, and the must fermented for 12 days. The must is then macerated on the skin for 8 days before maturing in steel tanks. 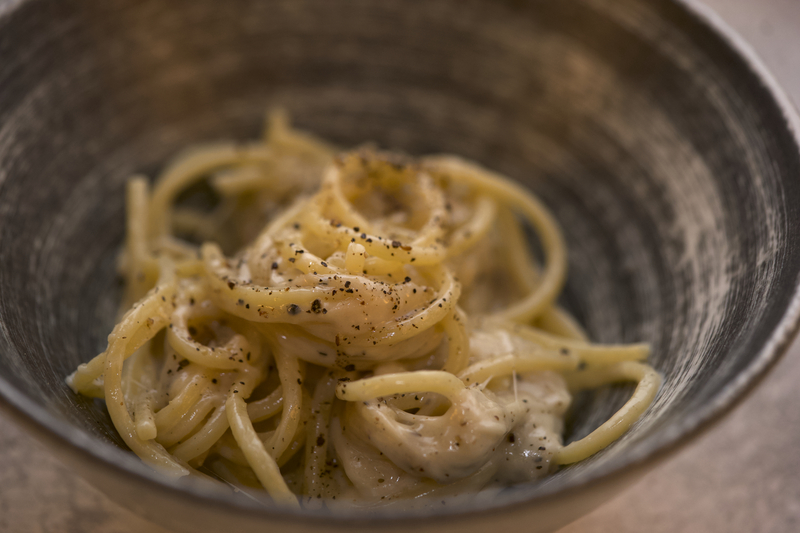 It is made with a majority of Molinara with Rondinella and Corvina grapes. The grapes are hung to dry for 2 months, pressed and stay on the skins for 2 weeks and the wine is inverted every day for the wine to absorb the colour from the skins. We tried the 2011 vintage during our visit. 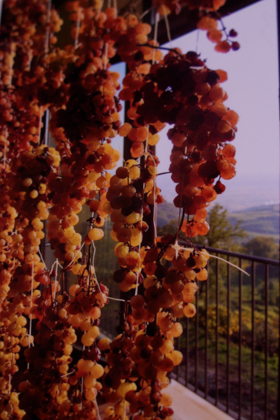 This sweet wine is made with 100% Garganega grapes, which have been partially dried. The wine is aged in new and used barrique for 10 to 12 months and then in bottle for 2 months. They produce 8,000 bottles a year. We tasted the 2012 vintage during our visit and found it tasted of almond, dried fruit and apricot. It was fresh tasting and not too sweet. Made from 100% dried Sauvignon Blanc grapes and aged for 16-24 months in small oak barrels and then in bottle for 2 months. This sparkling wine is made from 100% Garganega grapes placed in sealed tanks with yeast for 6 months. It was initially created by mistake 41 years ago by professor Coffele. He had wanted to make a sweet sparkling wine but it was a hot summer and all the sugar disappeared turning it into a dry sparkling wine. We tried the 2013 vintage during our visit. A sweet sparkling wine made from 100% Garganega grapes.